Grand and regal to reflect the Regency era, this design boasts strong lines and a stunning sunburst design in its gable end - making it a stylish choice. 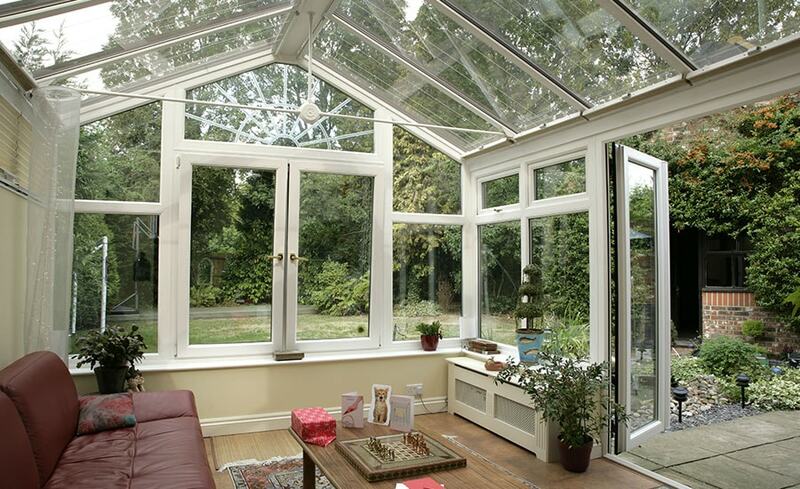 The Regency style conservatory gives you plenty of options to create the perfect extension to your home. It’s available in a choice of uPVC frame finishes, including our popular White Knight, a choice of woodgrain colours and the dual colour option that combines a woodgrain exterior with a white interior. Or, If you prefer a wooden look and feel, our woodgrain-effect uPVC should be considered as it provides the look of timber, but with very little maintenance. We’ve hundreds of designs in coloured, bevelled and decorative glass. Plus, you’ll benefit from the energy savings that come with our energy efficient sealed units. All our conservatories are individually made to your exact specifications and our designer will guide you through the design options to help you make the best choice. We even have options for you to choose form with the design of your conservatory roof. Opt for Solaroof, which can help keep your conservatory warm in the winter and cool in the summer months, or a cosy solid roof for a more enclosed feel. You can also design the roof with added touches like crestings and finials. Can I convert my conservatory in to an Orangery?